Basil seeds are very healthy as it has lot of fiber, pottasium, magnesium, etc., which helps in weight loss, diabetic, blood control. This Afghan recipe sharbat is the simplest with basil seeds. 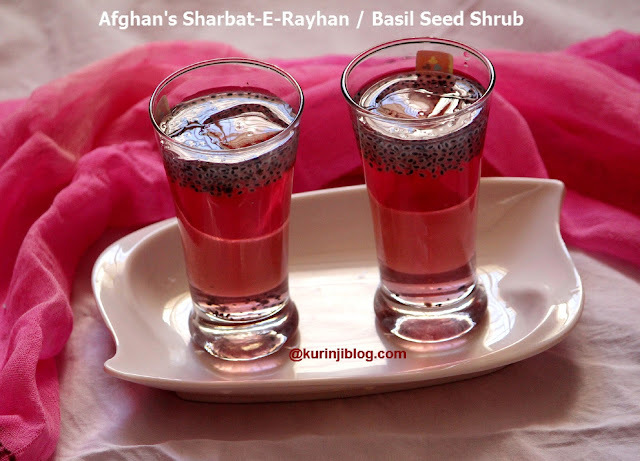 Afghans just add rose essence along with basil seeds to sugar water for this recipe. Takes mins to make but the taste lingers for hours together. Click HERE to view 50+ Summer Recipes. 1. 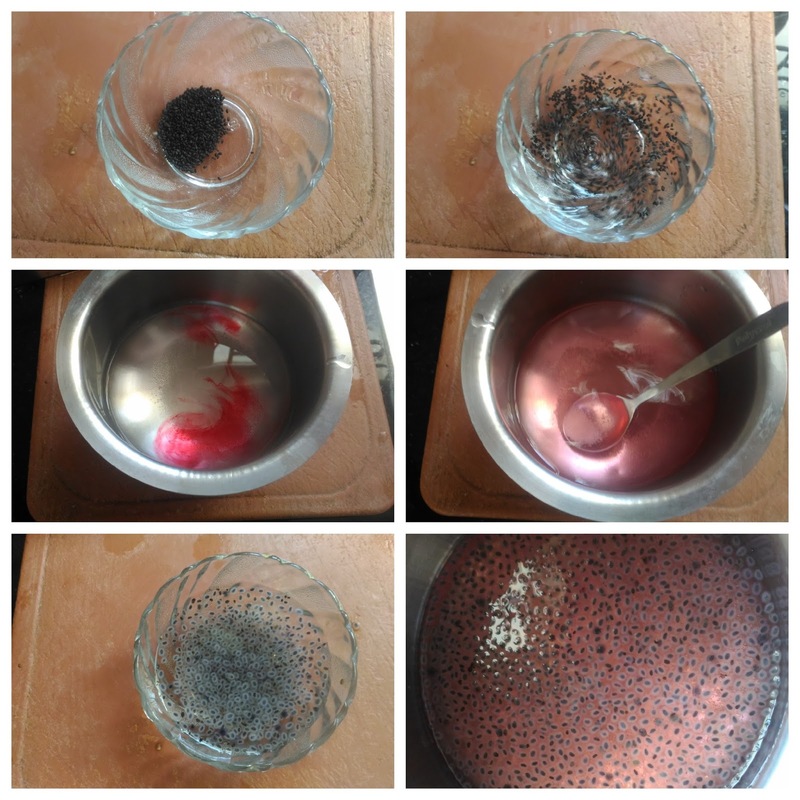 Soak the basil seeds in warm water for 10-15 mins or the seeds become double in its size and become translucent. 2. Meanwhile, Add sugar, cold water and essence in a bowl. Mix them well till the sugar dissolves completely. 3. Add soaked basil seeds with the above mixture. Mix them well. 4. Pour this mixture in tall glasses and add few ice cubes. Quick, easy and delicious Afghan’s Sharbat-E-Rayhan is ready to serve. 2. Add brown sugar or honey instead of white sugar. 3. Rose essence is enough, but rosemilk essence gives attractive color to the shrub.